The Fair Grounds wins NICE Award 2019! You are here: Home / now / The Fair Grounds wins NICE Award 2019! ‘The Fair Grounds’ wins NICE Award 2019! 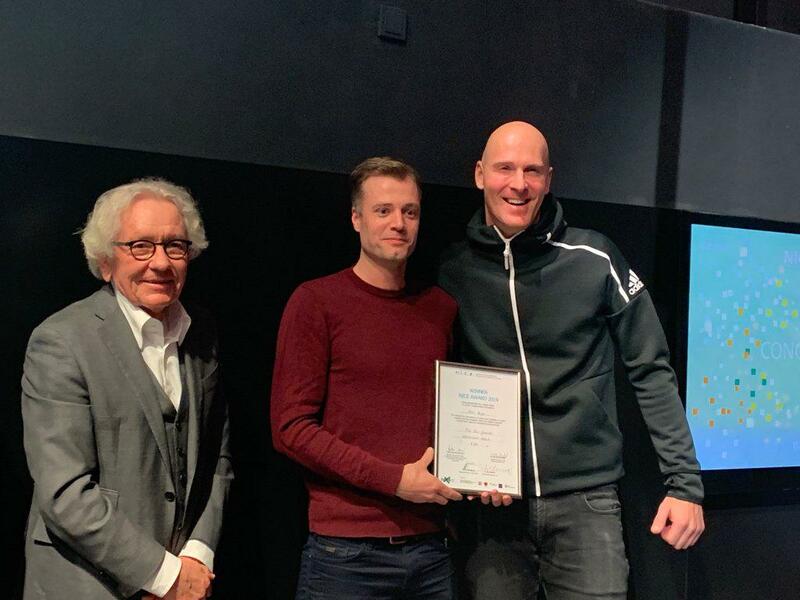 On February 12, ‘The Fair Grounds’ won the NICE Award 2019 as a honorable shared first place with the 3D printing sustainable architecture initiative IAAC > Institute for Advanced Architecture of Catalonia. The NICE Award is a European prize for social innovation within the Europe’s creative industries and is organized by ecce – european centre for creative economy and financed by the Ministry of Economic Affairs, Innovation, Digitalization and Energy of the State of North Rhine-Westphalia, Germany. We received the NICE Award 2019 out of the hands of Dr. Stephan Holthoff-Pförtner, Minister für Bundes- und Europaangelegenheiten sowie Internationales des Landes. We want to thank ecce and Bundesland North Rhein Westphalia for this wonderful honour. We also want to thank and credit our wonderful, highly valued partners. Without the support & cooperation of these artists and designers, museums, cultural, social and educational institutions and funds ‘The Fair Grounds’ would not be possible.